Former guitarist, pianist and lead vocalist of The White Stripes, Jack White, sure knows how to throw a great party and leave guests happy and satisfied. 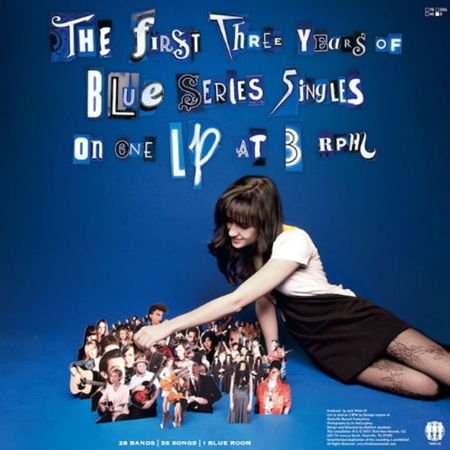 In celebration of the third anniversary of his Third Man Records label, Mr. White handed out drool-worthy limited-edition 3 RPM vinyl LPs packed with all the 29 Blue Series singles! These were handed out to friends, family, supporters and a bunch of Vault members. The LPs basically run at 1/11th the speed of a normal vinyl 12″ LP and normal turntables simply refuse to play these. Also, to have this one play right, one needs to master the art of using one’s fingers to slow down the darn thing to make it listenable. If all else fails, this limited edition LP makes for a pretty good addition to a museum of music!